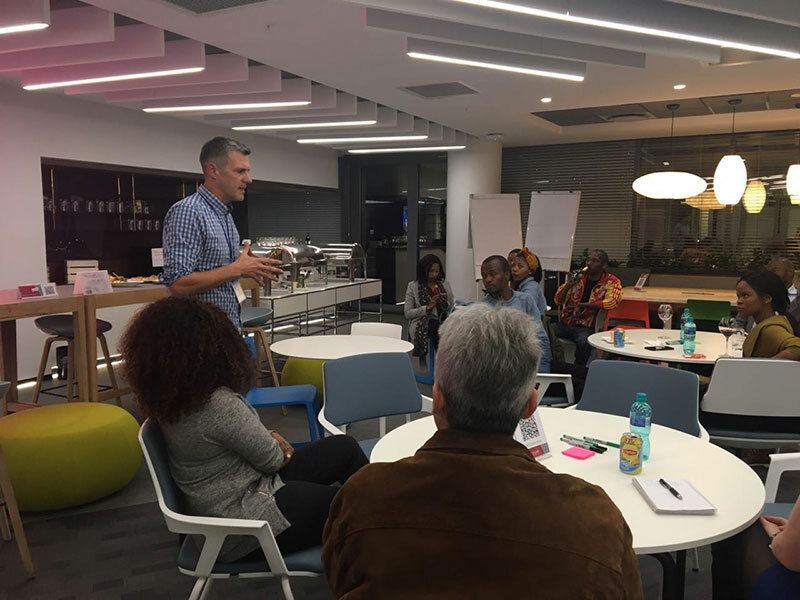 For the 3rd Africa Design Lab we set ourselves the challenge: How might we step-up from hosting a meetup, to running an interactive learning experience, that makes positive social impact? 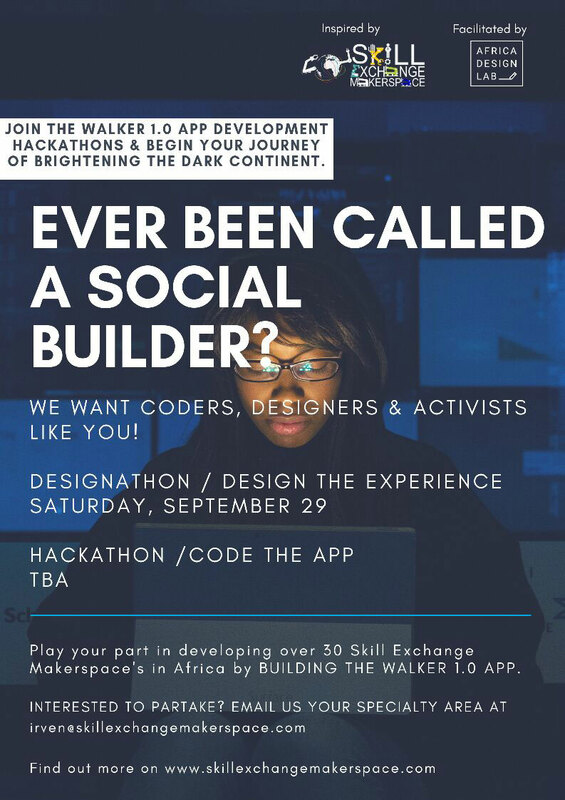 The answer was a full day Designathon with members of the meetup community and a social enterprise, the Skill Exchange Makerspace, to explore a business concept to create jobs for young people. The day was superbly facilitated by design thinker Asia Issa Sultan. 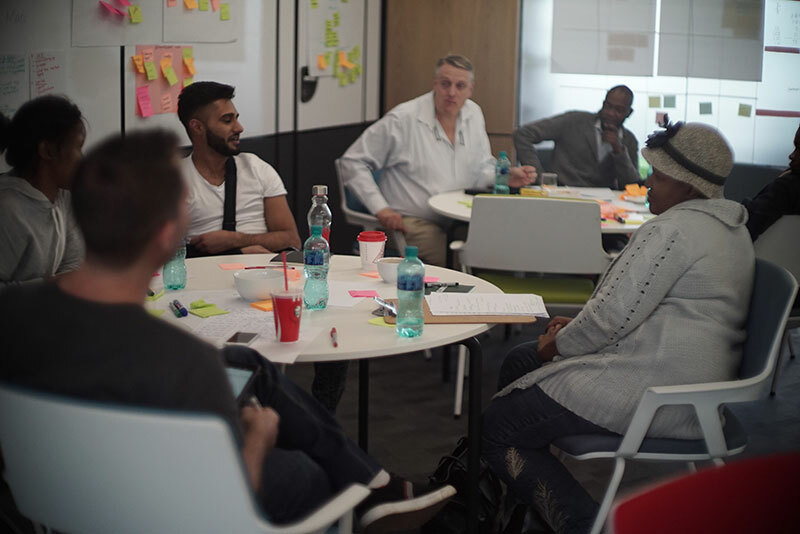 The outcome of the workshop was two business prototypes that will be tested in the Johannesburg area. This experience helped bring what a Lab is into better focus: a group of diverse people, self organising around a problem space with which they feel an emotional connection, they make a start in creating a solution, test and learn, and get it ready for the next group that will converge around the problem and move it further, in the process everyone learns. Can a Lab be the blueprint for the learning organisation of the future? A mechanism to bring diverse thinking and intrinsic motivation together. 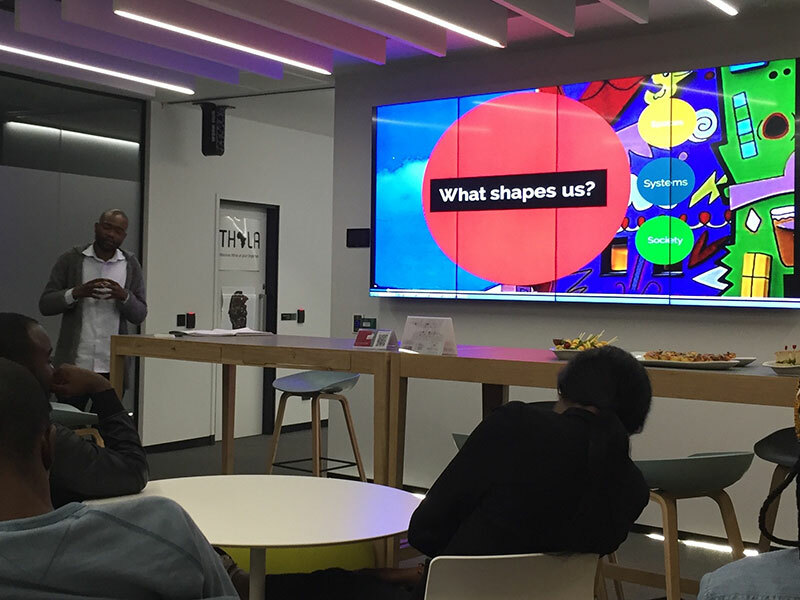 For the 2nd Africa Design Lab meetup the focus shifted towards social entrepreneurship. There is undoubtedly a drive amongst designers to do work that has meaning and purpose. The question becomes how do we open up this space and get more opportunities to do this kind of work? The answer may just be that we have to take action, start collaborating, and see where it takes us. We also wanted to keep a hands-on workshop component to the meetup so we ran a workshop on mental model mapping. Mastering design research will help designers to become more strategic in their work. 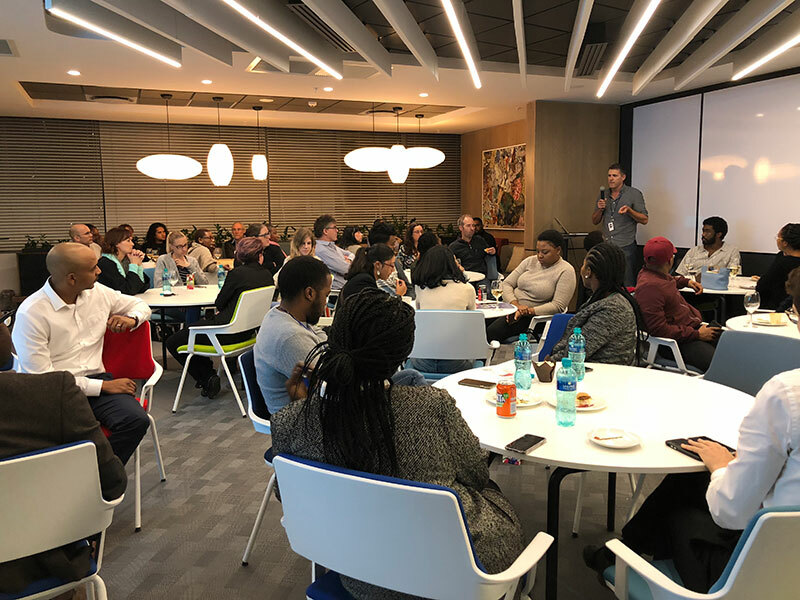 The mission of the Skill Exchange Makerspace is to demonstrate how outskirt regions can create competitive global economies by developing the innate talents of local communities. Measuring social impact is a lot harder than quantifying your financial bottom line. 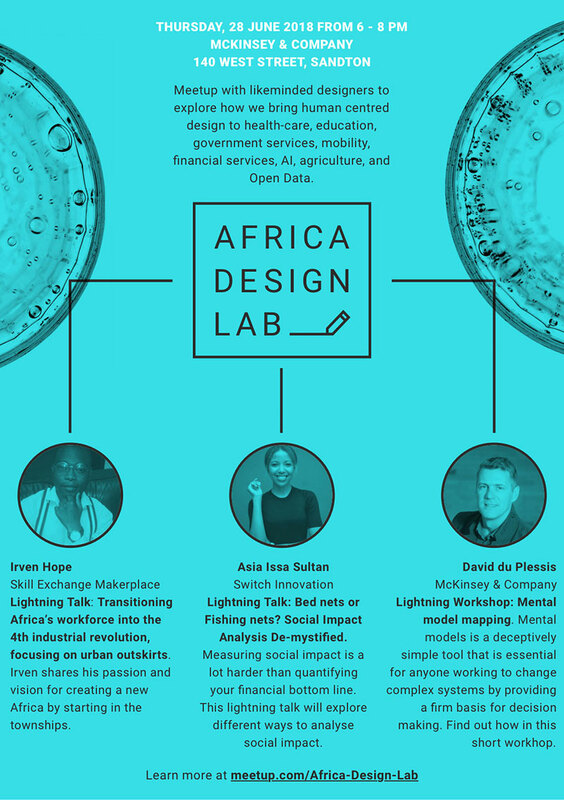 This lightning talk will explore different ways to analyse social impact. Mental model mapping is a deceptively simple tool that is essential for anyone working to change complex systems by providing a firm basis for decision making. Find out how in this workshop. We are facing exponential change and tough problems. 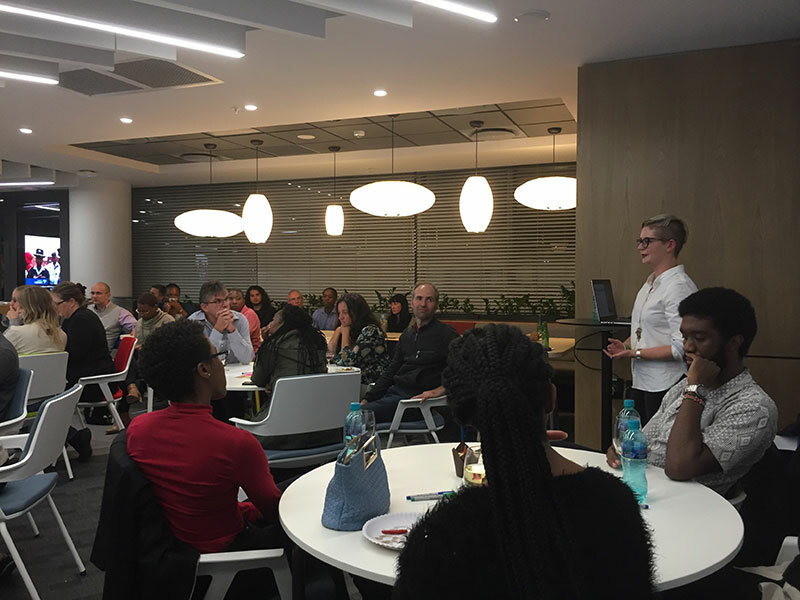 Africa needs people that can adapt, empathise, collaborate, and innovate. 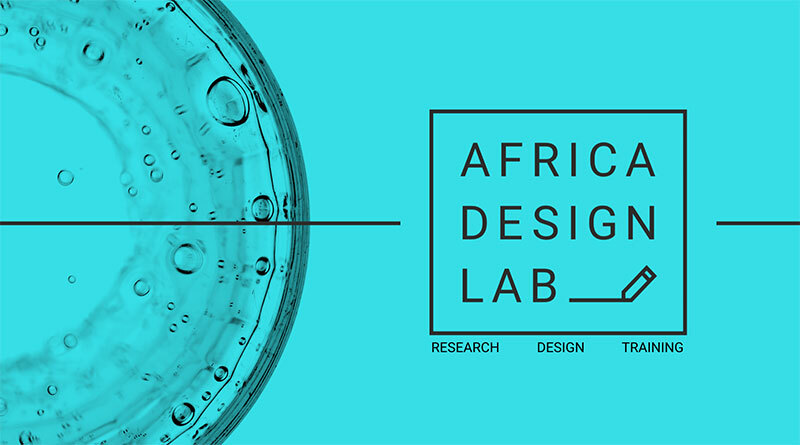 The Africa Design Lab meets this needs by teaching the skills of creative problem solving, collaboration, and making in hands-on interactive workshops. 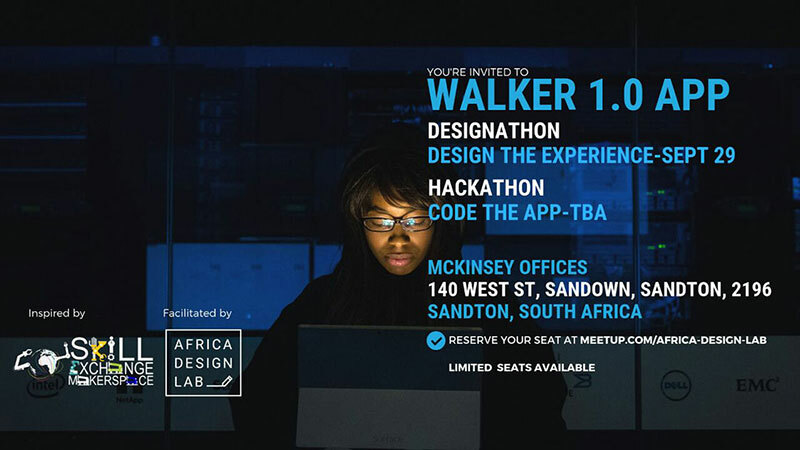 The motivation was to create a Meetup where likeminded designers could explore how to bring human centred design to health-care, education, government services, mobility, financial services, AI, agriculture, and Open Data. The reasoning is that the role of design is changing, and as designers we are increasingly called into conversations in industries where we’ve not been before. To remain relevant we need to evolve our thinking and the application of our methods by actively collaborating across industries. Knowledge and capability building via meetups, retreats, tutorials, talks, white papers, and workshops. 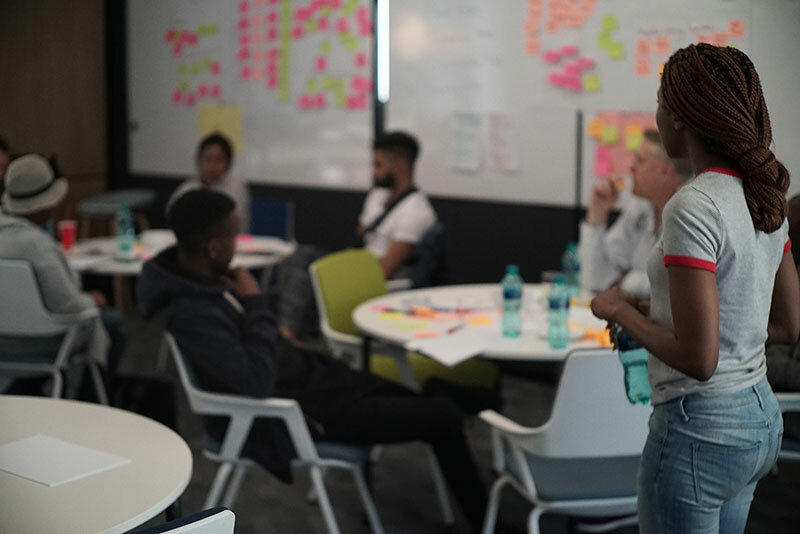 Establish relationships with entrepreneurs, academia, and social enterprises to increase the scope and reach of design in adjacent industries. Design thinking is a solution based problem solving method with a bias towards taking action. It requires a distinct set of mindsets, process, and tools. The lab coaches these skills by running experiments in the real world. 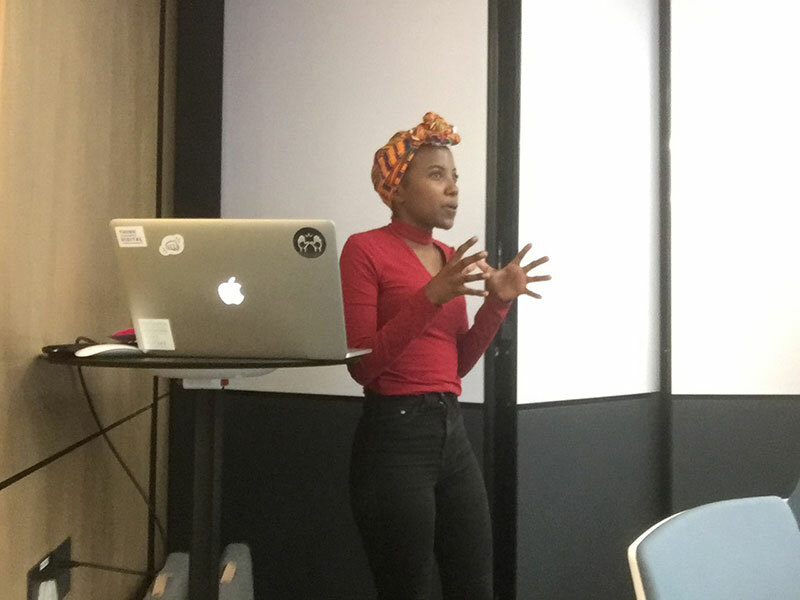 Inez is an independent UX designer, the director of Ladies that UX Johannesburg and co-organiser for The GoodWork Society. She is passionate about building valuable and sustainable communities. 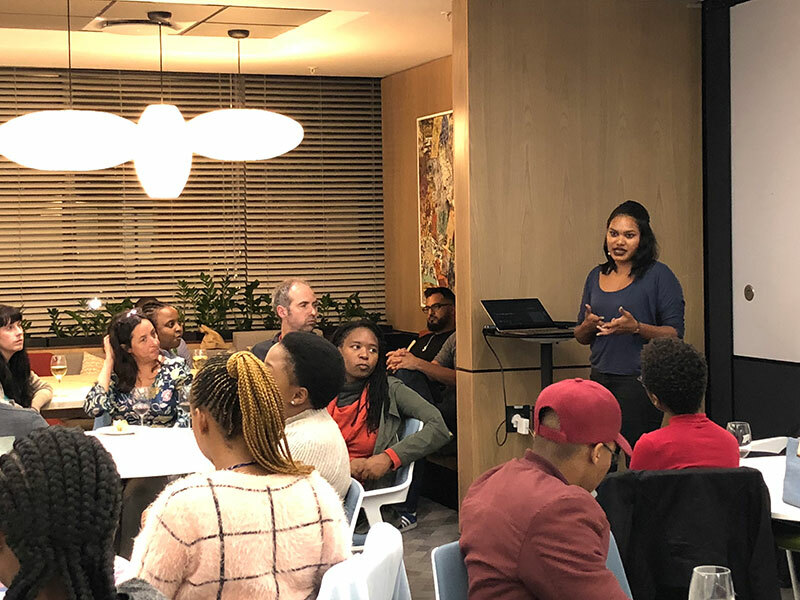 Inez started Ladies that UX JHB in August 2015 using a design-thinking approach and will be sharing some of her learnings and insights from this process. Kate is a UX designer and content strategist with a background in anthropology and a passion for understanding humans and how they make decisions. 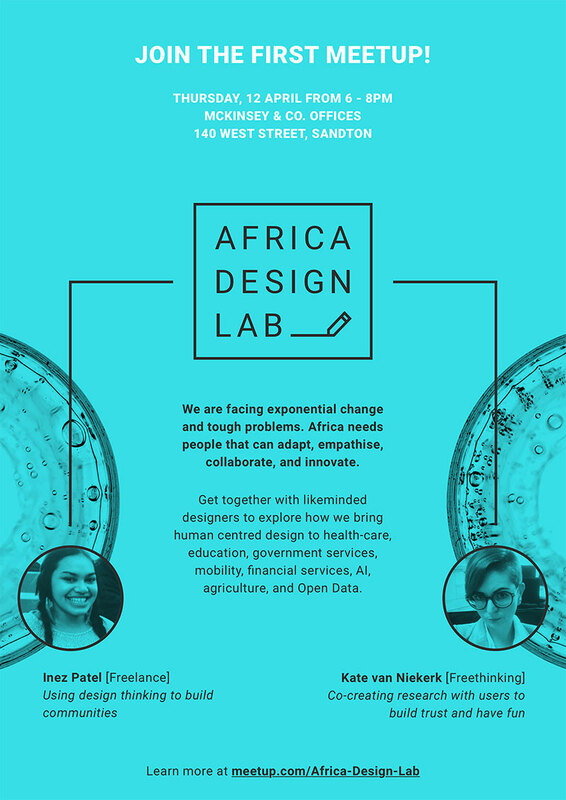 She is particularly interested in inclusive design and using UX for positive social change. 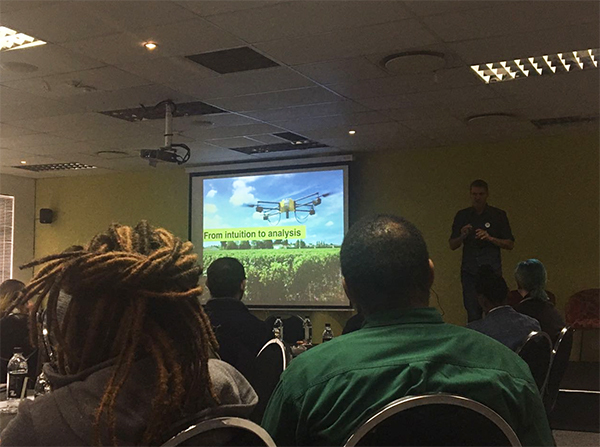 At the UX South Africa conference in Johannesburg I presented a talk on the UX of Agriculture. I’m interested in the future of food production, urban farming, and how digital technology can play a part in disrupting aspects of mass agriculture. This talk is the outcome of researching new developments and thinking in agritech and urban farming. I originally studied biochemistry, genetics, and plant physiology, with a little bit of aquaculture, and lately I’m seeing opportunities to combine my interests in science and design. I’m also interested in the future of work debate, and as work gets automated the question becomes: What is meaningful work for humans to do? For me, the future of food production and how we live in cities is part of the answer. 5000times _ manual tasks from Isabel Mager on Vimeo. Our smart high-tech devices are made by human hand. How often though do we realise – as we sit swiping – that somewhere, someone is testing the image quality of such devices by doing nothing else than taking thousands of selfies each day? 5000times investigates the extensive, repetitive and even absurd human labour that is essential to the creation of our smart devices. Kapton tape, which is used along assembly lines for electronics, acts as narrative evidence of the human trace within. Humans are the most adaptable machines and the idea of a total automated production process remains fictive; development, purchase and maintenance of machinery are far more expensive and complex than human labour.